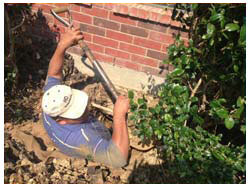 For Foundation Repair In North Richland Hills, TX, Call HD Foundations For Free Estimates. Would you like North Richland Hills foundation repair service? At HD Foundations, we’re contractors that offer a lifetime guarantee. If you ask us to restore your North Richland Hills house, we’ll perform foundation repair service and make sure that the work is done correctly. We’re a Better Business Burea-affiliated company with an excellent BBB rating. Contact HD Foundations. Soil in this part of the state can wreak havoc on your foundation. If yours is damaged, it’s important to call a company like HD Foundations and have it fixed right away. Why? 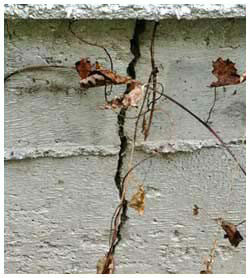 For one thing, professional service stops foundation problems, including cracks in concrete slabs. That’s important when foundation repair is required in or around North Richland Hills. The same is true of pier and beam foundations. Both types of foundations tend to sink and slope over the years due to local soil and climate conditions. All areas of DFW, including North Richland Hills, are prone to volatile weather. Pressed concrete piers and steel piers are the foundation supports that HD Foundations commonly uses to fix foundations in this area. They’re strong and highly effective in North Texas soils. The professionals at HD Foundations have a lot of experience working on both slab and pier and beam houses. We know what to look for when evaluating them for foundation damage. What’s more, we’re contractors that have the expertise required to stop what’s causing foundation issues. If you have problems, the only way to prevent further deterioration is to get your foundation fixed. The professionals at HD Foundations are foundation repair contractors in North Richland Hills also install foundation drainage systems like French drains. Foundation cracks and other forms of damage are something we can quickly bring to a halt. HD Foundations provides its customers with an excellent guarantee. It protects your foundation in the event that weather and soil create ongoing problems. So if you need service, you’ll want to find out more about our lifetime foundation repair warranty and how it can benefit you in the future. We’ll be happy to answer all your questions. As a full service local company, HD Foundations services houses and commercial properties, apartment complexes and residential properties in North Richland Hills and other areas. So get a free foundation repair estimate and inspection online today.